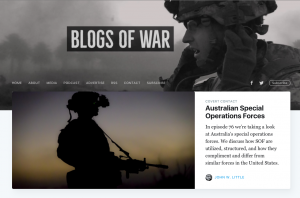 Welcome to the launch of Covert Contact: The Blogs of War Podcast. In episode 1 I am looking at the notion of intelligence failures and why they’re often more complicated than they seem – or not failures at all. I’m also taking a look at the new biography of Murad Storm, the towering red-haired Danish agent who infiltrated al Qaeda. Agent Storm: My Life Inside al Qaeda and the CIA is a fascinating read that raises many questions about our ability to infiltrate radical Islamic groups. And then a discussion about the darker side of eDiplomacy. Do we really want world leaders trolling each other on Twitter?